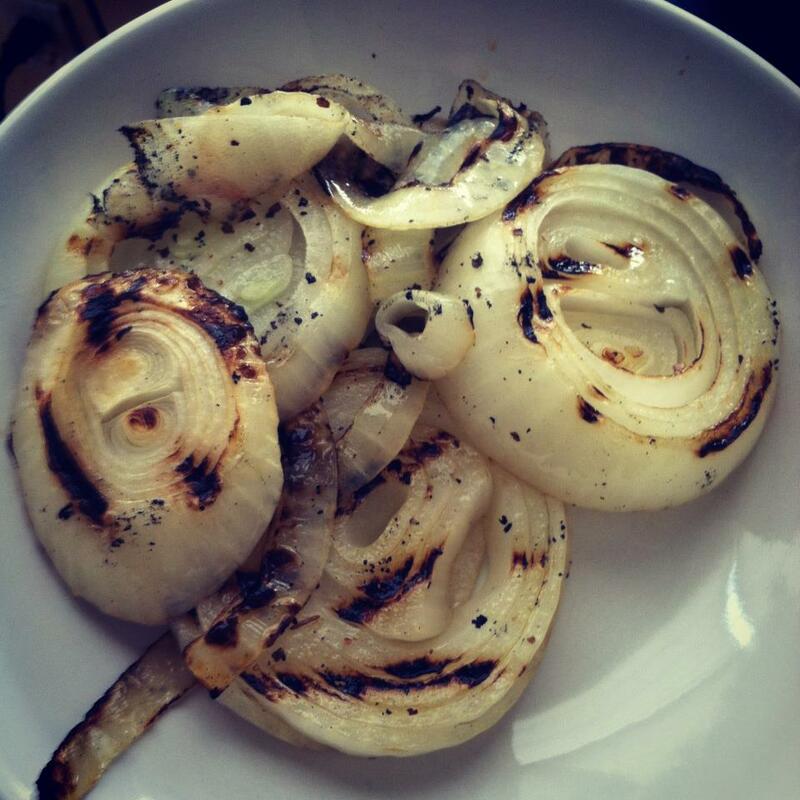 When you go to a restaurant you always hear people ordering "grilled onions" or see them on the menu. So the other day for lunch I thought I would fire up the grill and cook some next to my chicken. A little EVOO, S&P, and I was ready to go! Well about 5 minutes into my experiment my onions started falling apart and sticking to my grill!! Carefully as I could removed them from the grill and after a taste I realized that people don't really "grill" onions. They saute' them and called them grilled.. FYI do not go through all of the work cooking them on the grill.. not worth it unless they are on a skewer.